SANITY FAIR: I JUST BOUGHT CHRISTMAS ORNAMENTS. ALSO, IT'S SEPTEMBER. I JUST BOUGHT CHRISTMAS ORNAMENTS. ALSO, IT'S SEPTEMBER. 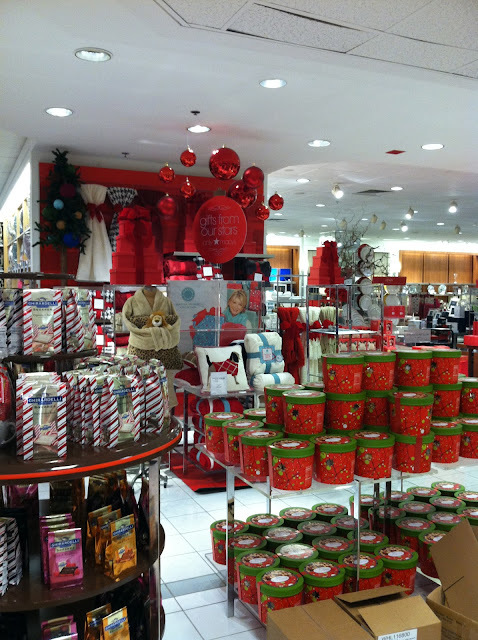 I was walking through Macy's today, shopping for stuff and experiencing the sense of rage one usually feels on finding a store decorated for Christmas before (let's review, shall we? ): Columbus Day, Halloween, Election Day, Veteran's Day, Thanksgiving, Black Friday, and the Iron Bowl. The outrage! The fury! The mass commercialization of Christmas! 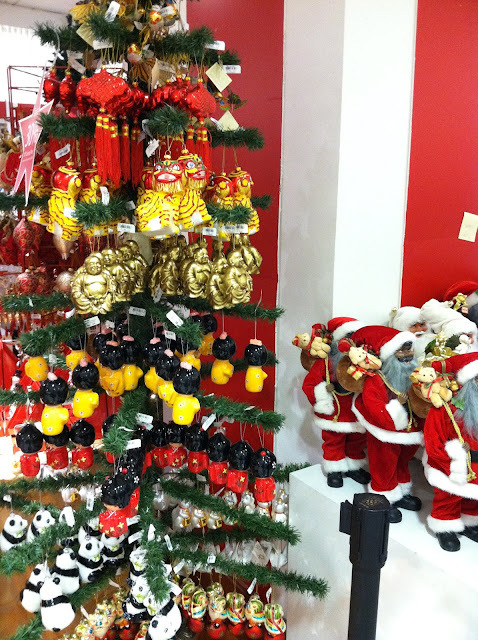 And then I saw this - an entire tree of chinoiserie Christmas ornaments. 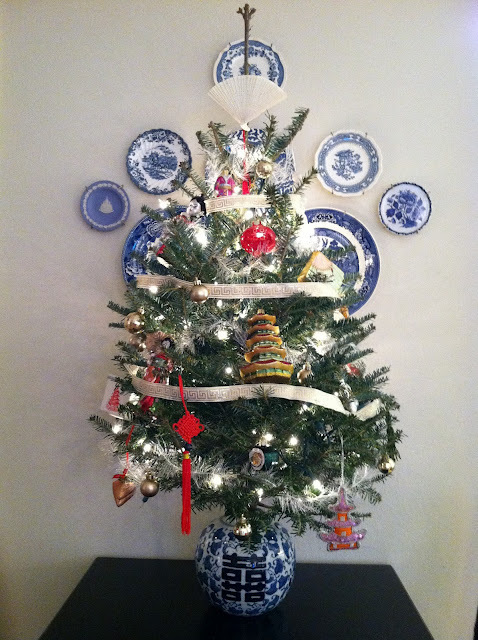 Last year, I decided to have a little chinoiserie Christmas tree in my apartment. 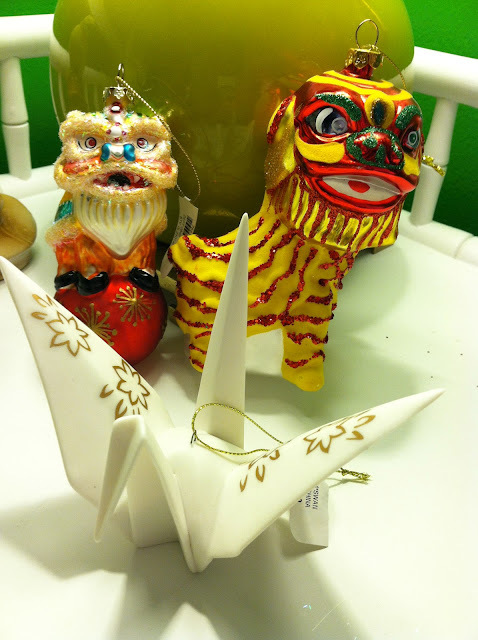 For obvious reasons, these sorts of decorations are not easy to find, and I ended up haunting eBay for blown glass pagodas at 1 AM, or making repeat visits to World Cost Plus Market for miniaturized cranes and tiny pandas. But an entire TREE of them! At Macy's! Et tu? How early do you buy Christmas decorations? Wonder if the manufacturers saw your post and ran with the idea. I find the retail push of Christmas to be incredibly obnoxious. However, if I run across these ornaments anywhere I will be thrilled to add them to my collection. Your Christmas tree is fantastic! I want to feature it! Wow! You are making me want to go to Macy's!